RGA UK believes social change begins with education. A massive step towards that is how dwarfism is portrayed to children. 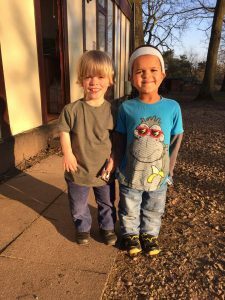 In March, we launched our ‘Spread The Word’ campaign – encouraging libraries to combat stereotypes by stocking and showcasing books positively portraying people with dwarfism. We teamed up with ground-breaking authors, Amber Lee Dodd and Kristina Gray, with the aim of local libraries stocking their excellent books – ‘We Are Giants’ and ‘Strong And Mighty Max’ – among others. As a result of members’ efforts, dozens and dozens of libraries nationwide now stock these books. The support was phenomenal. You, our membership, also contacted publishers about degrading language used in children’s stories and these efforts have been fantastic, too. Spreading awareness is key to all that we do and want. So thank you. Earlier this year it was a privilege to be invited onto BBC’s ‘Heir Hunters’ TV show to talk about what life would have been like for a person with dwarfism in the fifties and sixties. 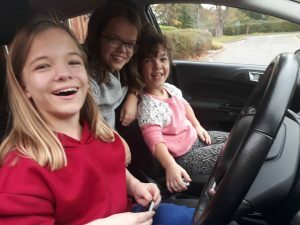 The show, which aired in March, explored the life of Rosina Skudder, a Jazz singer with dwarfism. Looking into her remarkable story was an eye opener for me and reminded me that the struggle for a fairer society must continue. I am especially grateful to our older membership who provided me with valuable insights, pre-interview. In April, Graham, Stephen, Eugene and myself were as happy as pigs in mud when we ran our activity weekend for youngsters. These weekends are rewarding – and can help our young people become more confident and independent and learn unusual skills, in a friendly and co-operative environment. These events could not happen without parent and adult volunteers – so thank you to our members for mucking in. Fundraising this year has been exceptional as we had our first RGA UK London marathon runner, Atlanta Drummond, who raised a striking £981! Thanks to her for her efforts and flying the RGA UK flag and to all of you who supported her. This year cannot be reviewed without remembering a beloved and committed member who sadly passed away in February – Mr Keith Hopkins, affectionately known as ‘The Raffle Man’. Over the years, Keith raised thousands of pounds selling raffle tickets at our annual conventions. Enlisting the help of our youngsters, he was well-known and much-loved. It was a privilege to know him and to learn, at his funeral, how much RGA UK meant to him. To honour his memory we now have the ‘Keith Hopkins Award’ – presented this year to one of our newest members, Joanne Paulick and her son Sid, for raising over £6,000. Her enthusiasm and support has been boundless and a boost. 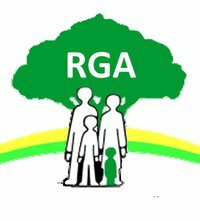 I would like to thank every single one of you who raised funds for RGA UK – whether via an event, a cake sale, a sponsored pursuit, buying a wristband, or simply donating online. Thank you, thank you, thank you. Membership support isn’t just about funds. This year, we had members rise to the formidable challenge of speaking in schools; who have emailed and made calls, backing our campaigns and fight for equality; who volunteered their time and energy, running workshops and activities for our Mega Weekend. This year’s Mega Weekend was special and a sell-out. I am indebted to the herculean efforts and cool-headedness of the chief organisers, Charlotte and Jon. Year on year we have volunteers running sessions, wanting to return next year. Special thanks to one or two brave people who took part in the Fireworks and Fire Poi (and perhaps liked it a bit too much!) What a fine event it was. To all of you who helped in making it such a success by simply attending: thank you. I’m now into my seventh year as Chair. At times, it’s been difficult, facing personal and political struggles, but totally worth it for every happy face I see, every reassured parent we speak to, every damaging advert we prevent from airing, every campaign we push, every event we support or run, every radio or TV interview we do. Let me tell you: the committee is a great team. Over the last few years they have, without doubt, been my backbone and true friends. Everything we do is teamwork. I’m delighted we have two new recruits, Hana and Dan Scott, who joined us earlier this year, bringing something new to the table. I am grateful to Rhonda, who stepped down from the committee recently but kindly agreed to continue to run our vital helpline. Huge thanks to Charlotte and Jon, who have revived our Mega Weekends, year on year, a massive undertaking that, quite honestly, until you do it you’ve no idea how consuming it is. They are amazing. I want to give massive thanks to Graham, our treasurer, who has been on this journey with Stephen and I from the start. Graham keeps me sane. He’s our leveller, the glue that holds us all together. I am thankful for the support and efforts of Adelina, who quietly plays a vital part in keeping this charity – and our Mega Weekend events – running. I want to thank our Vice Chair Eugene – a whirlwind of energy – who has been instrumental in reviving RGA UK into a relevant charity as we speak up for those who can’t always speak up for themselves. We would not be where we are today without the tremendous support and medical gravitas provided by our president, Dr Michael Wright. Many thanks to him and his colleagues for all that they do for RGA UK and the dwarfism community as a whole. Finally, I cannot get this far without thanking Stephen, my husband who keeps me motivated to continue on this epic journey. So here’s to 2018. Let’s go and make the world a better place for our children and theirs. Together, I know we can do it.